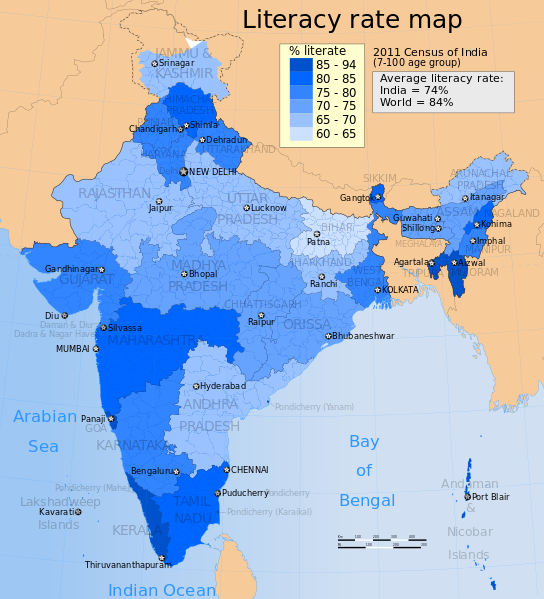 India is a vast country and the most populous democracy in the world. The country can be divided into five regions ‘“ Northern, Southern, Eastern, Western and Central. India is a multilingual, multi-ethnic and pluralistic society, where one can come across a big difference between each region. Vijayalaya Choleswaram, Pudukkottai, Tamil Nadu. South India Built c. 850 C.E. Here, let us discuss some of the differences between North and South India. Both the regions have geographical, cultural, racial and political differences. 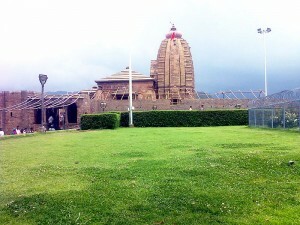 North India lies in the Indo-Gangetic plain. Towards the North is the Himalayas, which separates the country from Central Asia. The Vindhya ranges separates the North from the South. South India is situated in the Peninsular Deccan Plateau. This region has the Arabian Sea in the west, Bay of Bengal in the east and Indian Ocean in the south. When talking about the racial differences, the North Indians are termed as Aryans and the South Indians as Dravidians. In physique as well, there are many differences between the people of the South and North. The North Indians are taller, and more strongly built than the South Indians. The South Indians are a bit darker than the North Indians. A big difference can be seen in their dressing styles. Salwar Kamiz is the widely used dress by North Indian women. On the other hand, women in the South wear saris. While men in the North wear Salwar, the men in South prefer dhotis. Another difference that can be seen between North and South India is their food. When compared to the North Indian food, the South Indian food is spicier. The South Indians use more tamarind and coconut when compared to North Indians. The North Indians use more milk products when compared to the people of South India. When talking about the culture, there is a vast difference between North and South India. One can come across differences in their music (Northern Hindustani and Southern Carnatic), dance forms and folks. 1. North India lies in the Indo-Gangetic plain. 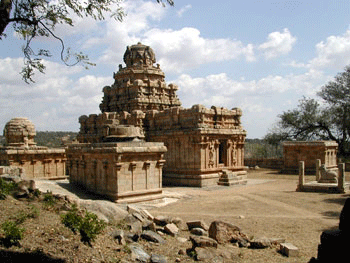 South India is situated in the Peninsular Deccan Plateau. 2. North Indians are termed as Aryans and the South Indians as Dravidians. 3. The North Indians are taller, and more strongly built than the South Indians. The South Indians are a bit darker than the North Indians. 4. 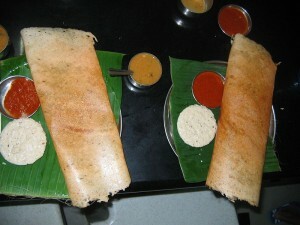 When compared to the North Indian food, the South Indian food is spicier. 5. The South Indians use more tamarind and coconut when compared to North Indians. Prabhat S. "Difference Between North and South India." DifferenceBetween.net. June 12, 2018 < http://www.differencebetween.net/miscellaneous/difference-between-north-and-south-india/ >. I am norh indian & alll the sothees are my deep hearted friends. Oh so u guys are the Invaders of their Land? Muwanika, you need a deeper appreciation of where your ‘culture’ really comes from. More Spice and melatonin is not a reason for you to hate your fellow country people. The reason why we (indians) put ourselves in regions, is because it’s just only that we have extremely big differences then each other region. It does irk me though that those regions just kinda hate the other regions. So far I’ve seen only few other people from different regions that actually accept the other regions. Ereena, the poster muwanika proves your observation. Most there in southern India are polytheist accepting many gods but not accepting many peoples. With political correctness, which is inherently incorrect via its politics, people of color or in this case a greater degree of color, are taught to hate their neighbors with a self righteousness that only a corrupt political ideology could teach them. It has happened on both sides, but only the contemporary politically correct consider this intolerance a virtue. So u guys are Colonizers or invaders of their land, right? No such thing.thbetheory is false.there never were dravidians or aryans.check it out.history is interconnected bewteen the two parts of India through the Vedic religion.